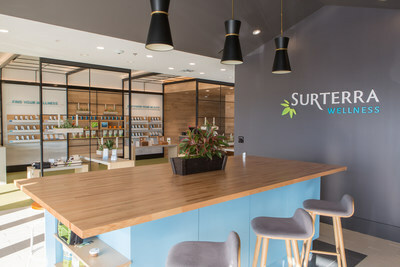 ATLANTA, April 16, 2019 /PRNewswire/ -- Surterra Wellness (Surterra), one of the nation's fastest growing health and wellness companies, will officially kick-off the national launch of the Coral Reefer™ cannabis brand, a range of wellness-focused cannabis products and lifestyle merchandise, in Florida on April 19. The highly anticipated Coral Reefer brand will initially be exclusively distributed through the more than 20 Surterra Wellness Centers located in most major cities throughout Florida, and will roll-out in other states, including California and Nevada, by mid-summer 2019. The TideRider is our uniquely designed rechargeable vaporizer device, necessary to keep that summer sun shining all year long. 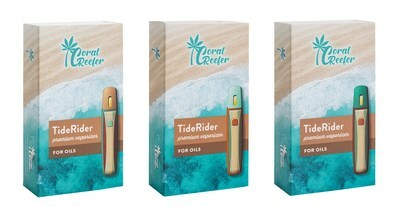 The TideRider is compatible with the full line of Coral Reefer vaporizer pods, and available in three colors: Teal green, light wood tone, and dark wood tone. Coral Reefer disposable vaporizer pens offer a slim profile and subtle wood grain design - a stylish and discreet way to catch the right wave whenever the moment is right. The highly anticipated Coral Reefer brand will initially be exclusively distributed through the more than 20 Surterra Wellness Centers located in most major cities throughout Florida, and will roll-out in other states, including California and Nevada, by mid-summer 2019. "It never dawned on me that Coral Reefer would be anything other than a cool name for a tropical band born out of the Key West lifestyle in the mid-70s," singer, songwriter and best-selling author, Jimmy Buffett said. "But life is supposed to be about having fun and staying healthy enough to enjoy it. I think Coral Reefer will help a lot of folks do that." 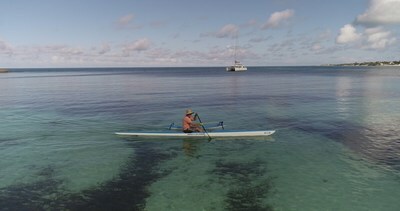 Surterra Wellness developed Coral Reefer in collaboration with Jimmy Buffett and the Coral Reefer team based on a landmark global licensing deal. The new Coral Reefer cannabis brand aims to enhance peoples' lives while representing the carefree, relaxed roots of Key West. The launch of Coral Reefer represents a new approach of bringing cannabis and lifestyle products to consumers through an exclusive collaboration with an established, iconic, global brand. "Launching Coral Reefer marks another exciting and transformative milestone for Surterra Wellness in a period of rapid growth," said Surterra Chairman and CEO William "Beau" Wrigley, Jr. "The Coral Reefer brand reflects our intention to give consumers access to high-quality wellness and cannabis-based products through best-in-class partnerships with people and organizations that reflect our standards and values. Jimmy and his team share our commitment to quality and the belief that individuals can find personal wellness through the relief enhancing benefits and healing properties of cannabis." "Our intention is to create cannabis products that provide natural alternatives for consumers to achieve personal wellness," said Beau Wrigley. "This is a pivotal time in the industry, where perceptions of cannabis continue to evolve. Coral Reefer provides a new platform to expand the conversation around cannabis use and change the misconceptions of this truly beneficial plant that can improve the health of millions of Americans." Cabana Daydreamin' is a fresh evening breeze that delivers a balanced blend of CBD and THC for full body relaxation. Surfin' in a Hurricane is a THC only formula that can help manage acute pain and bring sunshine to your stormy day. Disposable: The disposable vaporizer pens offer a slim profile and subtle wood grain design - a stylish and discreet way to catch the right wave whenever the moment is right. 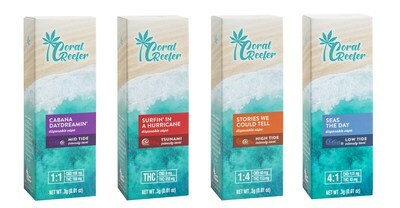 For more information on Coral Reefer products, please visit www.CoralReefer.com. Follow Coral Reefer on Instagram and Twitter at @CoralReefer and "Like" us on Facebook at @CoralReeferBrand. Surterra Wellness (Surterra) is one of the nation's fastest growing health and wellness companies. With vertical operations in Florida, Texas and Nevada, and a pending acquisition in Massachusetts, Surterra brings a broad portfolio of high-quality brands to meet the needs of individuals who choose the natural medical relief and wellness enhancing benefits of cannabis products. Surterra offers a wide variety of medical, health and wellness products in multiple delivery options, including vaporizer pens, tinctures, oral sprays, topical creams, time released transdermal patches, and softgels. The company's brand portfolio includes: Surterra Wellness, Florida's Finest, The Apothecary Shoppe, and now Coral Reefer brands. Founded in 2014, Surterra serves thousands of consumers each year. For more information, please visit www.surterra.com. Coral Reefer, LLC, a global licensing company significantly owned by Jimmy Buffett, is the owner of the Coral Reefer™ brand. Through a global licensing deal with Surterra Wellness, the Coral Reefer™ cannabis brand will offer a variety of effects-based cannabis products, lifestyle merchandise and wellness-focused products to enhance peoples' lives while representing the carefree, relaxed roots of Key West. Coral Reefer cannabis products are designed to provide the benefits adults seek – from pain relief to mood management to total body relaxation. Coral Reefer offers carefully crafted cannabis vaporizer formulas in different CBD-to-THC ratios that use natural terpenes to optimize the cannabis' beneficial effects. Coral Reefer is available exclusively through Surterra Wellness Center locations in Florida, with nationwide distribution over time.